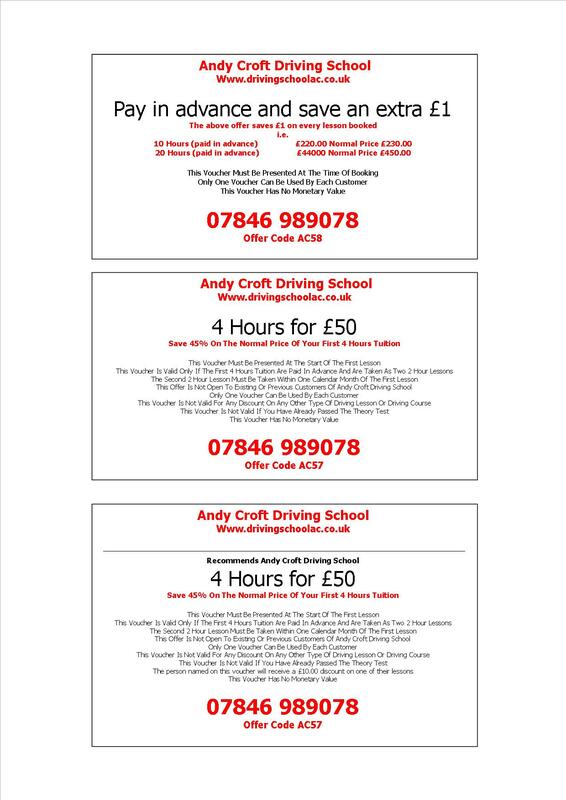 Driving Lesson Special Offers !!!! From time to time we will have special offers which will be listed here so please keep checking back. Some offers will be specifically for new students and some for existing so its always worth a revisit. If you have a friend that would like driving lessons why not recommend them to us and bag yourself a free driving lesson, your friend can also take advantage of either their first lesson free or the 45% discount on the first 4 lessons. Click here to get the recommend a friend voucher. From 1st January 2017 all new students can have a 45% discount on their first 4 lessons. Offer ends December 31st 2017.